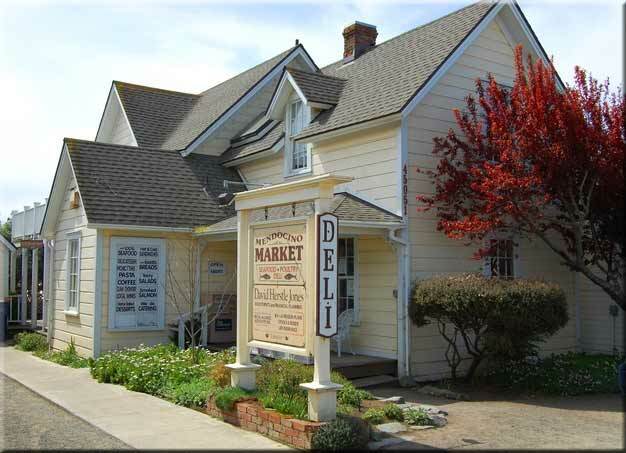 Tucked away in Mendocino Village is a wonderful deli specializing in organic and tasty main and side dishes. This "Locals Favorite!" is centrally located in the center of town, On Ukiah Street (across from the post office). Specializing in deli sandwiches made with fresh meats and cheeses, plus wonderful side dishes. Offering an extensive variety of local and exotic wines that compliment their specialty dishes. Pick up a picnic lunch made to order and enjoy it on the bluffs. Their friendly staff will make any of their specialty sandwiches for you, exactly the way you like it. Or try a local wine with the recommended cheese, crackers and the house olives. Don't forget your wine opener! Add some side dishes, chips, dessert and beverages and you're ready to enjoy! Take-away or indoor and garden seating is available. MENDOCINO.com ©1998 - 2019 MENDOCINO, Inc.